What happens after the children (ages three through grade two) leave worship and head downstairs? 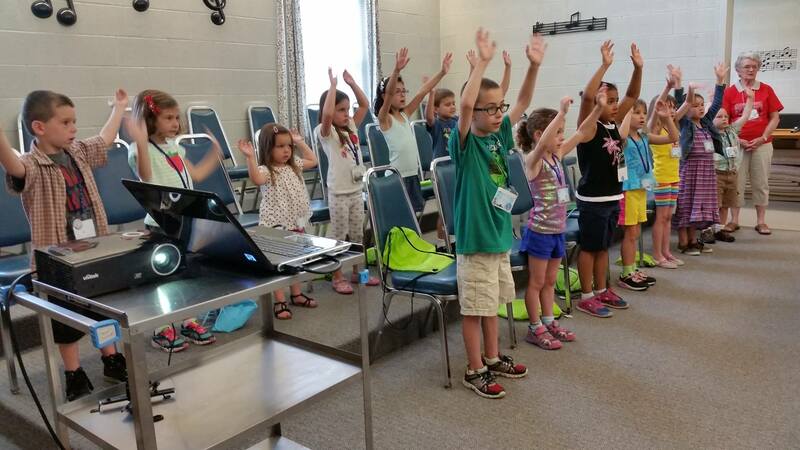 They proceed to the Kindergarten classroom for a worship experience suited to their age level. The goal of Children’s Church is not to instruct or teach facts. That responsibility rests with the Church School program. In worship we concentrate on celebrating the joy of knowing about God and Jesus and God’s love for us. We do this by sharing songs, stories, games, and other activities. Each week, two adults, certified by the Childcare Committee, supervise Children’s Church. Parents of children in the program may wish to assist occasionally so you know what is involved and can talk to your children about their worship experiences.